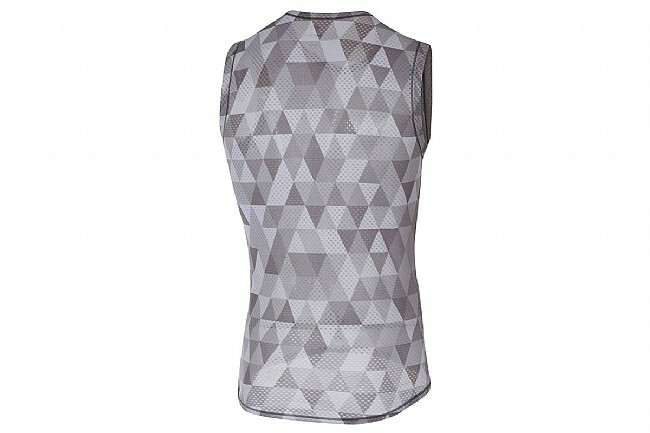 The Castelli Men's Pro Mesh Sleeveless baselayer is designed to facilitate moisture transfer through its ultralight airy construction. While most riders are aware the benefits a baselayer provides on a cold winter's ride, the extra layer is just as crucial during the hottest rides. Constructed from airy mesh fabric, the sleeveless form-fitting top wicks sweat away from the skin and uses it to help regulate core temperature. Great under shirt !! just remember to check your size !! Castelli make great product !! Now this under shirt is really nice !! the price of this was a little high , but when you see it on sale jump at it !! I did !! This is a great product for riding in South Florida. It breathes easily and is very comfortable. I also use it for running and it provides me with a sense of safety as it is so loud. I bought this on the advice of a couple friends who swear by wearing base layers in the heat of summer. It's very lightweight and fits nice and snug, as is usual with Castelli. Does a great job of wicking away sweat and keeping you cool. Great under jersey, dont leave home riding without it.. Funky colors but I love it. I only give it 4 stars because its expensive.